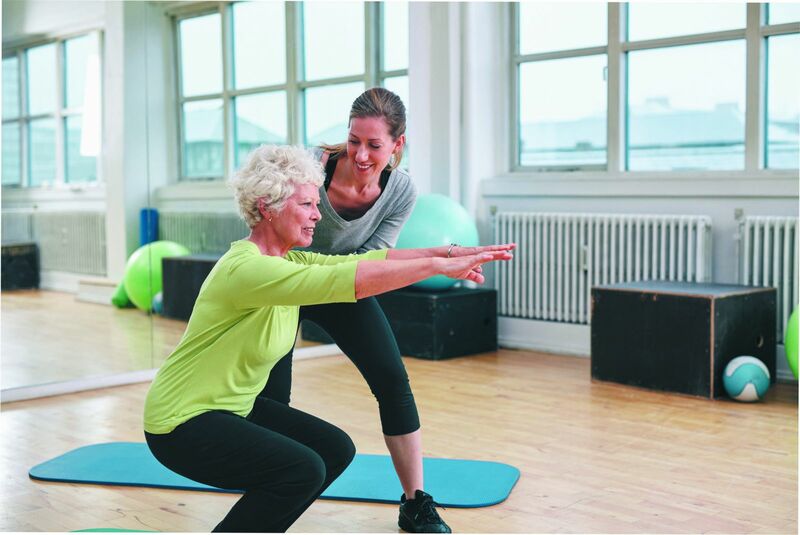 Improving range of motion, muscle strength, and weight control can help reduce pain and make your knees feel younger. Knee pain is common in older age, often caused by osteoarthritis (the wearing away of knee cartilage). Fortunately, there are ways to fool Father Time and postpone knee problems or even prevent them entirely. "In many cases, you can delay or avoid the need for surgical intervention, such as a knee replacement," says Dr. Lars Richardson, an orthopedic surgeon with Harvard-affiliated Massachusetts General Hospital. Your knees absorb a huge amount of pressure with every step — typically one-and-a-half times your body weight. That pressure, plus regular wear and tear, takes a toll over time. Muscles and ligaments get weaker. The knee's two shock absorbers — pads of cartilage called menisci — start to deteriorate. So does the articular cartilage protecting the ends of the leg bones where they meet at the knee. If you have a family history of osteoarthritis, if you're overweight, or if you've had some knee injuries, you may be more prone to this deterioration. That doesn't mean you need to let knee pain — or the threat of it — interrupt your life. By employing some of the following strategies, you can help keep your knees as young as you feel. Strengthen the muscles. Boosting muscle strength stabilizes the knee joint and helps the muscles absorb stress you place on the knee. Strengthening should start with the quadriceps and hamstrings in the thighs, but it shouldn't end there. "In the old days, we just strengthened the quads. Now we know that it's also important to strengthen the hip and core muscles to maximize function of the knee," says Dr. Richardson. It's best to work with a physical therapist who can evaluate your needs and develop a strengthening program that's right for you. One of Dr. Richardson's exercise recommendations is a body squat. "Don't squat so low that you're parallel to the ground," he warns. "That will put too much stress on the knee." He also recommends a "step up" to strengthen your core, hip, and leg muscles. "Stand and face a staircase, and then rotate your body 90 degrees," he explains. "Hold on to the banister. Place the leg closest to the stairs onto the first step, and straighten that leg so that your other leg is off the ground. Lower yourself back down. Repeat that exercise 10 times, and then do the exercise with your other leg." Lose weight. If you're overweight, each additional pound you carry translates to another 4 pounds of pressure on the joints. A 20-pound weight gain, for example, would add 80 pounds of pressure on your knees. Losing weight relieves pressure and pain on the joints. "Getting your body mass index [BMI] to a healthy range will make your knees feel better," says Dr. Richardson. BMI is a measure that takes into account both your height and weight; values from 18.5 to 24.9 are considered healthy. Increase range of motion. "Most people's joints get stiffer with age, and there's clear evidence that people with better motion have fewer symptoms, especially if they can straighten the knee. So it's important to work on getting the knee straight," Dr. Richardson says. He recommends working with a physical therapist to improve range of motion. For an exercise to try at home, he suggests sitting on a bed or floor, putting a pillow under the ankle, and using your leg muscles to force the knee down gently. Dr. Richardson says some activities can make osteoarthritis symptoms worse, such as standing on a hard surface or squatting for a long period (while gardening, for example). "Squatting can irritate the soft cartilage meniscus of the knee. Avoid long periods of time with your knees bent deeply," he warns. Instead, wear cushioned shoes or gel inserts if you have a job or hobby that involves standing on hard surfaces, and use a low stool to sit on while gardening. Avoid high-impact activities such as jogging and aerobics classes that involve jumping. Go for non-impact exercises, such as indoor or outdoor cycling or using an elliptical trainer. Dr. Richardson also advises that you keep your goals of better knee health in mind, as incentive. "Maybe it's just climbing the stairs, going for a walk, or crawling on the floor to play with the grandkids," he says.